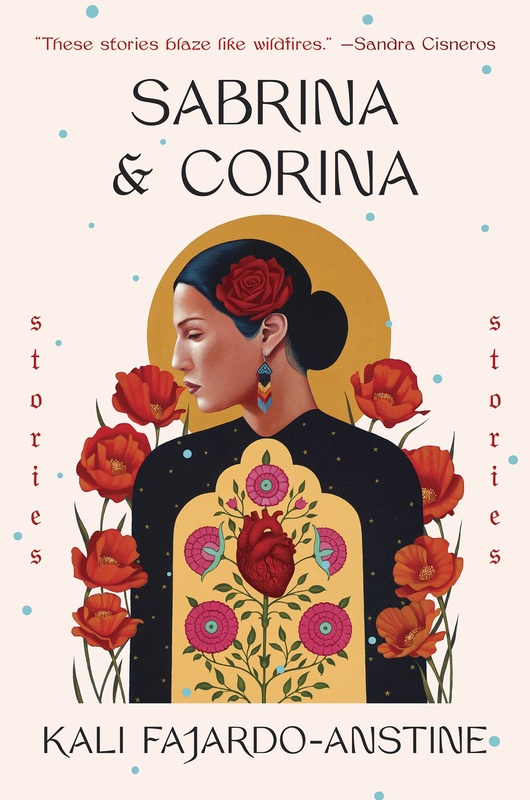 Your debut short story collection, Sabrina & Corina, was just published. There has been a lot of buzz about it, with several magazines and websites recommending it in their Spring book previews. I’m curious about your journey to this moment. Have you always had a passion for the lives and stories of Latina-Indigenous women or did that focus develop over time as you were writing? My interest came out of my childhood in Denver. Essentially, the elders in my family were novelists who chronicled our ancestry and roots in the Southwest, but through the oral tradition instead of the written word. The moment in time when my ancestors left the rural life of southern Colorado and entered their new existence in Denver is our family genesis. 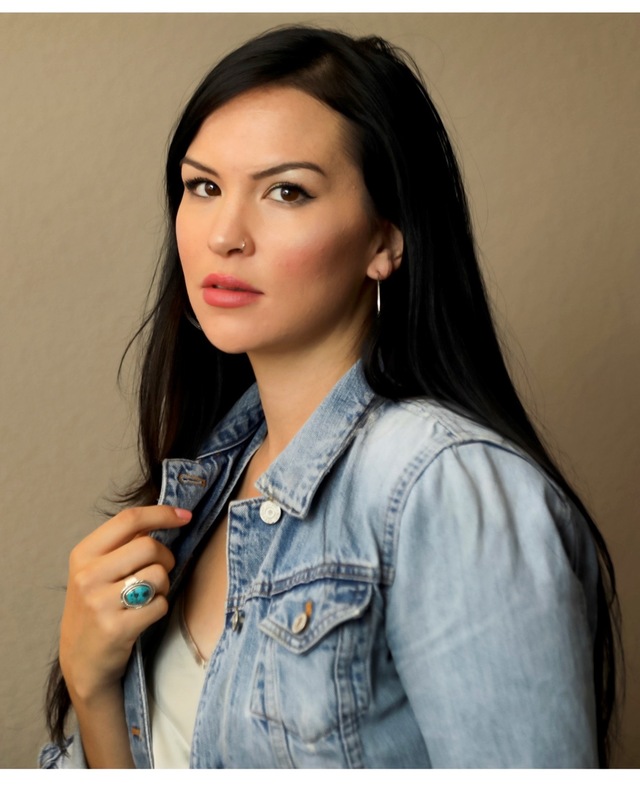 The stories in my collection come from heartache and loss, but they also come from my eternal sense of home in Colorado and my desire to offer representation to my people. When I began writing seriously in my early twenties, I was reading books by James Baldwin, Sandra Cisneros, and Edward P. Jones and many others. I saw how these authors shined the spotlight on their own people, whether they were in Chicago, the South, D.C., or Harlem. I also wanted to write work that was incredibly sophisticated that honored my cultural group, making us more visible in the mainstream. While my people lived large, notable lives, I never saw characters like them in books, film, or TV. What were the key steps on your journey to publication? There were many pinnacle moments for me along the way. It’s a joy to look back on the decade-long journey of Sabrina & Corina, from the collection’s first glimmers in my mind to a published book. I’d say that some moments stand out as benchmarks that gave me the hope to keep going when I faced years and years of rejection. My first print published in Bellevue Literary Review was in 2010. They published my story “Remedies” that would later go on to receive a Best American Non-Required Reading Notable citation. Seeing my work published for the first time was surreal. I remember opening the mailbox at my parents’ home and grasping the issue, holding it into the sunlight and reading my name printed, screaming with joy. When I was accepted into the University of Wyoming MFA program that was a benchmark for me, too. There have been many of these small and large moments alike that have carried me to the place where I am today. I know Denver and southern Colorado are important in your life and work. Can you explain the impact living there has had on you and your writing? I suspect that leaving and then coming back made a difference. I moved around a lot in my twenties, as many young writers do, chasing one opportunity after another. I lived in Key West, South Carolina, Wyoming, and a few other stops along the way. What I learned while away from the city where I had grown up is how deeply I felt connected to Denver and southern Colorado. Great feelings of homesickness led to the writing of Sabrina & Corina, in some ways. The collection explores Denver, as I know it, a multicultural space, a convergence zone where the various cultures that made me came together in a unique blend. My ancestors migrated north from Southern Colorado in the 1920s and 1930s. They came to Denver for a better life, for work, and for their dreams of owning property. Many of our family homes in Denver are gone now, due to gentrification and the financial and psychic stresses it causes a displaced people. Through my work, I hope to preserve some of our stories, both triumphant and tragic. Which story (or stories) do you most like to read at appearances? Perhaps another way of asking that is…which story would you recommend someone read as their first encounter with your work? I gave a lot of thought when it came to ordering my collection, as if I were ordering a musical album. The best way for readers to get acquainted with my work is to start with the first story, “Sugar Babies.” I placed that story first because it offers readers a glimpse into my thematic concerns and the story opens with a collective, almost folkloric voice. That was important to me, too. I want readers to experience Sabrina & Corina as if they are hearing a story around a camp fire, and I felt that “Sugar Babies” created that atmosphere well. But “Sugar Babies” is also fun! It shows some of my lighter, more humorous side as a writer. Can you tell me about the historical novel you’re currently writing? Any idea when that will be published? My forthcoming novel, Woman of Light, is set to be published in early 2021 by One World/Penguin Random House. Woman of Light examines the migration of the Lopez family from southern Colorado to Denver during the first half of the twentieth century. The novel pairs sections in Denver between 1933 and 1940 with fable-like sections from 1875 to 1918 in the Lost Territory. Woman of Light reveals how the Lopez family gained wealth and fame in the Lost Territory as Wild West show performers but, due to racial violence, lost everything. Then, in Denver in the 1930s, the novel follows Luz Lopez and her struggle to alter the fate of her family line.